What is Rocketdyne? And why does it matter to us today? Quite simply, it is a huge facility on the Los Angeles/Ventura County border called the Santa Susana Field Laboratory that conducted rocket testing and experimental nuclear work for decades. SSFL is divided into four Areas. 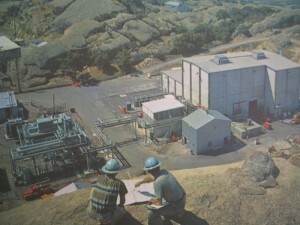 Area IV conducted nuclear work and is the site of a Department of Energy nuclear facility now known as the Energy Technology and Engineering Center (ETEC). NASA owns all of Area II and a portion of Area I. Aside from the NASA-owned parcels, the rest of the land is owned by Boeing, with some of the work done was as a contractor for the DOE and its predecessor the Atomic Energy Commission, and for NASA and for Department of Defense entities such as the Air Force and Navy (e.g., testing and development work for the MX missile), as well as for private industry. A partial nuclear meltdown and other reactor accidents, radiation releases and dumping, along with hundreds of thousands of gallons of toxic chemicals used and dumped at the site have created an environmental nightmare that we have been fighting since 1989. The result is that this land, which sits at the top of the Los Angeles River and Arroyo Simi watersheds, is grossly polluted with radionuclides, chemicals, dioxins, heavy metals and PCBs, some of which are washing down the hill when it rains. Click here to learn about chemical contamination. Studies by the UCLA School of Public Health found that exposed nuclear workers at Rocketdyne suffered elevated rates of radiation-associated cancers. See our resources page to view these and other reports of concern. Other government-sponsored studies found rates of certain cancers increasing with proximity to SSFL. Large amounts of monitoring data and other information, and numerous media articles and programs, reveal a disastrous environmental situation in the midst of millions of Southern Californians. Should the contamination matter to you? If you are a resident, it surely should. If you are an environmentalist, it should because this is one of the most crucial environmental fights in the nation, which Boeing is fighting every inch of the way. It is easy to participate too. 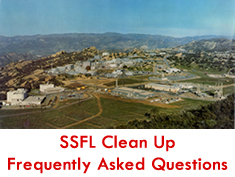 There are quarterly meetings of the agency-sponsored Santa Susana Field Laboratory Inter-Agency Work Group at the Simi Valley Cultural Arts Center where government officials update the Work Group and the public on the latest Rocketdyne cleanup progress. Hundreds of people over the years have taken good advantage of the public microphone to ask questions of the panel, make suggestions, and offer their views on an environmental catastrophe that has affected their lives. In addition, the Department of Toxic Substances Control and the U.S. Environmental Protection Agency have regular technical meetings to discuss detailed aspects of the cleanup with the public. Our robust new website offers an opportunity to learn about the issues and challenges, keep abreast of upcoming meetings and events, and exchange views on this complex and controversial subject. Knowledge is power and no one is more knowledgeable on the subject of Rocketdyne than Dan Hirsch, president of the Committee to Bridge the Gap, one of our organizational affiliates. At the invitation of the Senate Committee on Environment and Public Works, Hirsch testified in Washington on September 18, 2009. 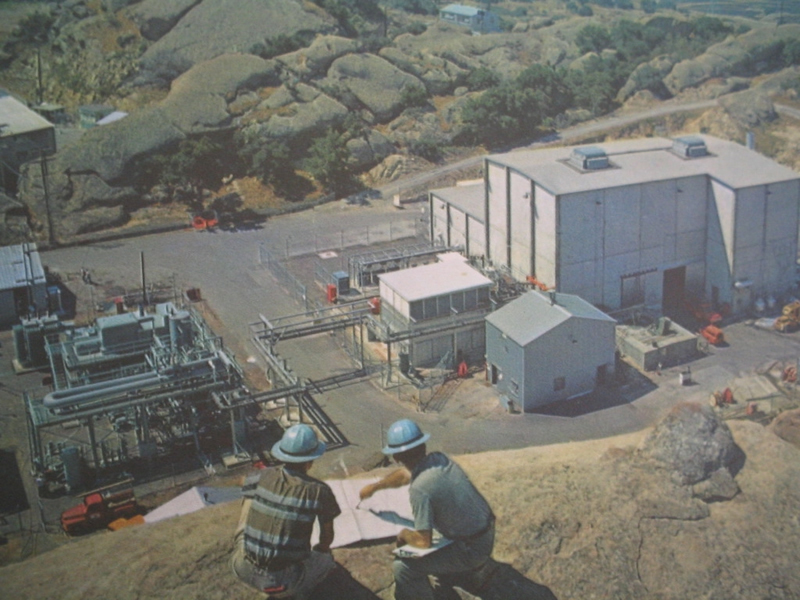 Hirsch used the history of nuclear accidents, radioactive spills, releases, and broken cleanup promises from the Santa Susana Field Lab. This testimony is an excellent primer on understanding the challenges we face when we work to clean up “the Hill.” The Rocketdyne Cleanup Coalition welcomes your input and energy as we work positively towards solutions with the community, government and responsible parties. We have made a difference. You can too.